In addition to a beautifully detailed cover illustration, The Nelson Bros. Novelties serves as a commercial publication for all-things farming. The book is filled with factual knowledge about farming techniques, reputable seed brands, and even includes a few seed advertisements with customer testimony, poetry, and incredible backstories. 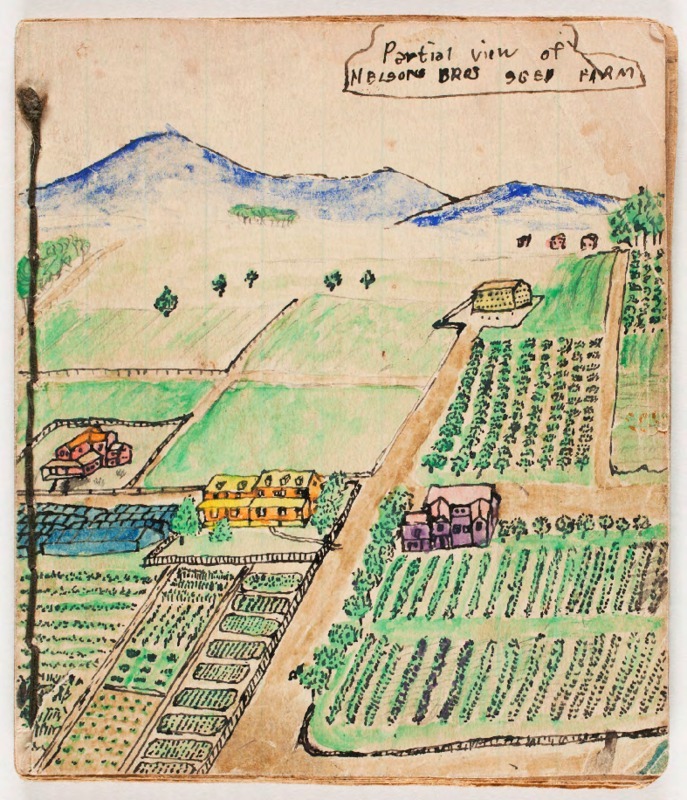 Nelsons, “Nelson Bros Novelties,” The Worlds and Works of the Nelson Brothers, accessed April 23, 2019, https://www.ats.amherst.edu/childhood/items/show/267.